Trendy Earrings: Climbers and Threaders - Shane Co. Climber and threader earrings continue to be among the hottest jewelry styles of 2017. Here’s your guide for adding the trend to your wardrobe. Climbers, also referred to as crawlers, sit in a way that travels up the earlobe. This style allows you to achieve an edgy look without multiple piercings. 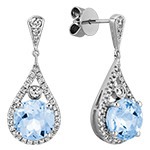 Take a look at some of our favorite climber earrings below! These diamond bar climber earrings in yellow gold are super chic and can be worn day or night. 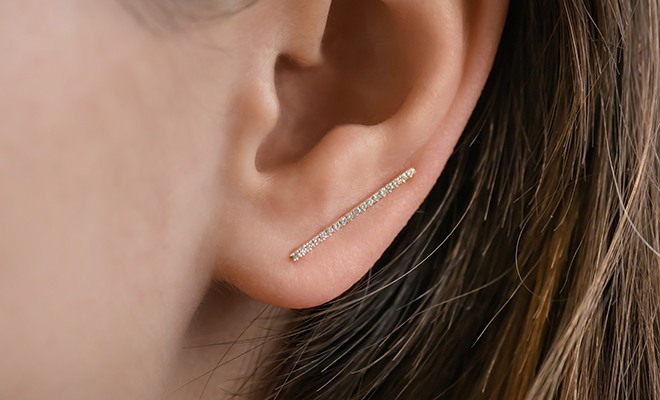 Simply turn them upwards so the bar travels up the earlobe for unexpected, eye-catching sparkle. We love how these swirl diamond ear climber earrings blend fashion-forward style with classic elegance. 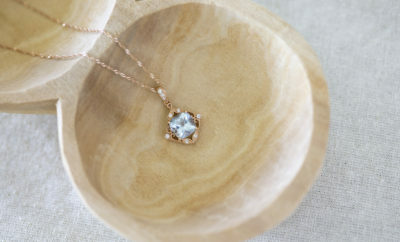 You’ll demand lots of attention with the nine brilliant diamonds surrounded by white gold swirling up your ear. 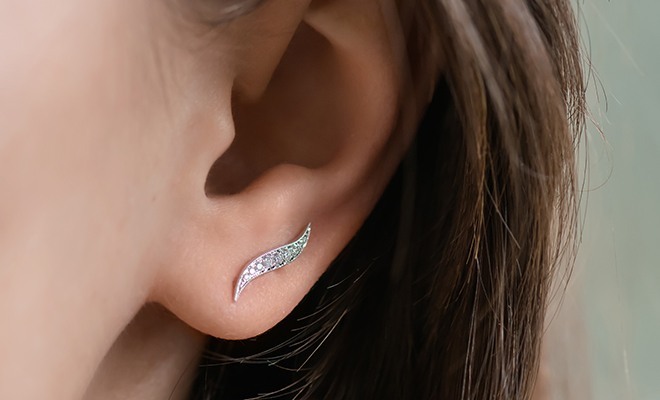 These darling diamond-lined ear climber earrings in white gold flaunt five sparkling diamonds, graduating in size. 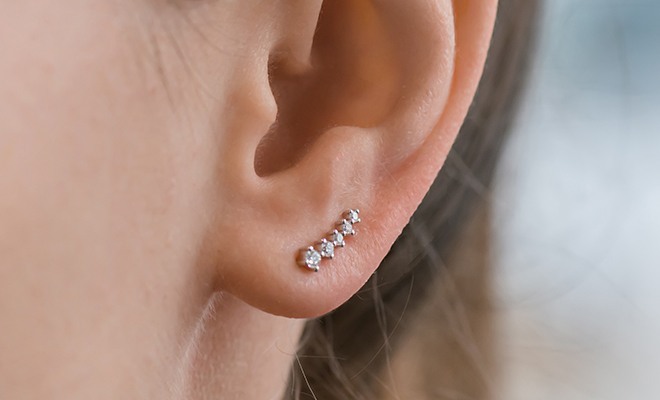 Turn them upwards so that the largest diamond is closest to your earlobe. 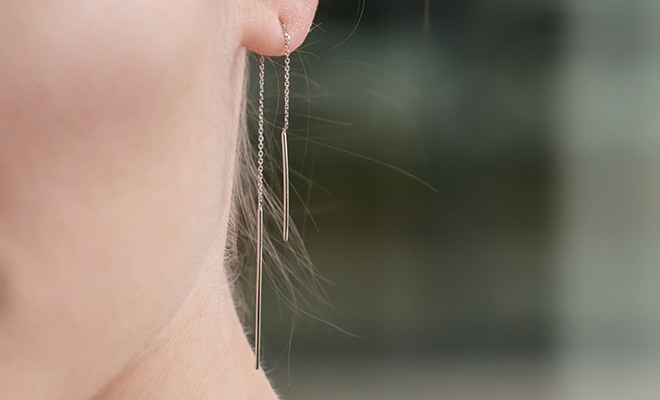 Threader-style earrings are not only ultra trendy, but they are versatile too. This style can be worn through a single piercing or threaded through multiple piercings. 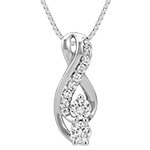 Check out some of our favorite styles! 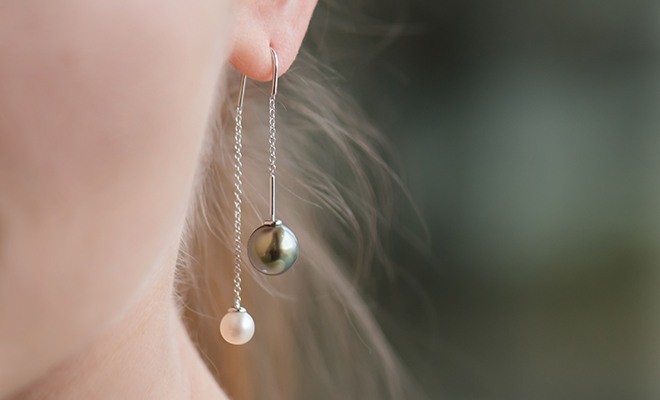 These cultured freshwater and Tahitian pearl threader earrings are completely unique! Dangle each earring through a single piercing, with the larger pearl in the front, or thread the chain through multiple piercings for an even bolder look. These yellow gold threader-style dangle earrings are both graceful and chic. 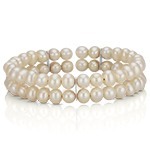 They are perfect for the workweek or a glam night out! We just adore how gorgeous these white gold bar threader earrings look whether you’re dressing up or down! 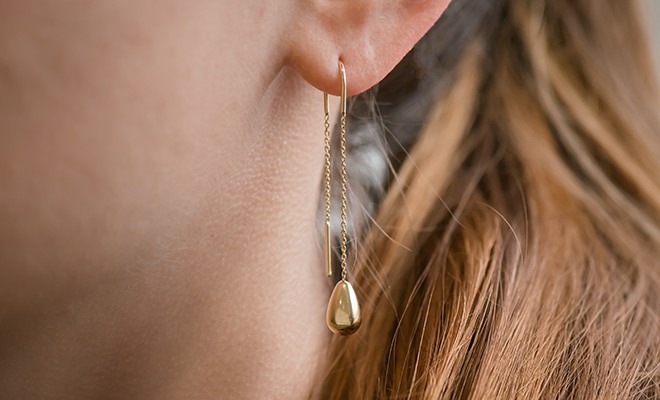 Simple and stunning, two minimalist gold bars dangle from a small chain. 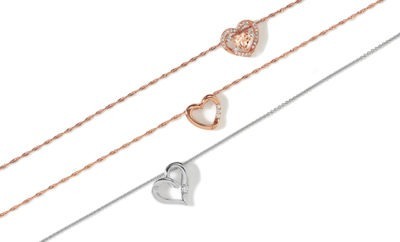 This pair is also available in yellow and rose gold, giving you plenty of options. What’s your favorite earring style? Let us know in the comments below! Jessica Barone - Social Media Specialist, Shane Co.
Jessica joined the Shane Co. family in October 2016 as a Social Media Specialist. In this role, Jessica is responsible for curating content and engaging with Shane Co. fans on social media. 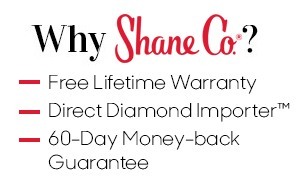 Her favorite part about working for Shane Co. is getting to hear all the adorable proposal stories customers send in. In her free time, Jessica enjoys hiking and spending time with friends.